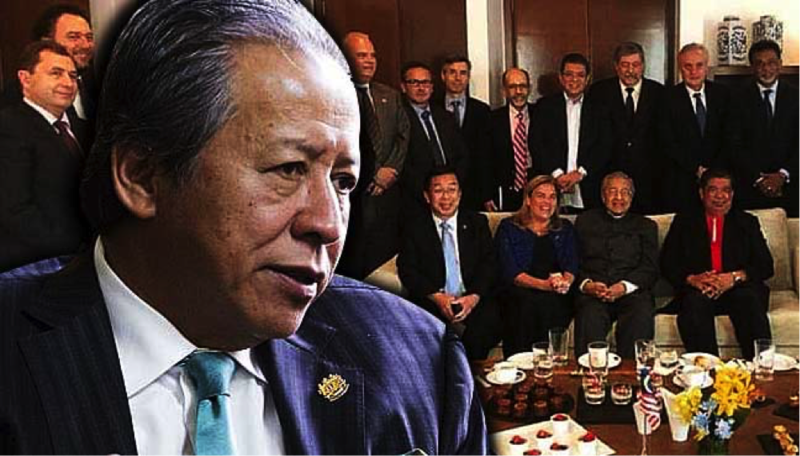 In the wake of a recent meeting with European Union ambassadors, Dr Mahathir and the Opposition have been accused, in not so many words, of betraying the nation and tarnishing our good image. He went on to accuse Dr Mahathir and the Opposition of “undermining the nation’s dignity and sovereignty” and tarnishing Malaysia’s good image. Clearly, the Minister doesn’t understand the role of diplomats and neither does he seem to appreciate the role of the Opposition in a “free and democratic” country, to quote the minister’s own words. One of the critical tasks of diplomats is to seek to understand what is going on in his or her host country. That means talking to all sides, getting to know key players and understanding what they stand for. Even Malaysian ambassadors, at least those who are serious about doing their job, do the same thing. Malaysian officials met with Aung San Suu Kyi, for example, when she was in the opposition. As well, in a democracy, if that is what we still are, the opposition is considered the government-in-waiting. In Britain, the opposition is referred to as “Her Majesty’s Most Loyal Opposition” and meet, as the need arises, with foreign diplomats and others to discuss issues of concern. There’s nothing sinister about it. It’s standard practice throughout much of the world; only authoritarian regimes bristle when diplomats meet opposition and civil society leaders. It is, therefore, inappropriate, to say the least, for the foreign minister of a “free and democratic country” to make such ludicrous accusations against the legitimate Opposition simply for meeting foreign diplomats. Many Malaysians will, of course, find the assertion that “the country is gaining recognition and respect throughout the world” quite laughable. In any case, the minister must surely know, if he has been reading reports from abroad, that it is not Dr Mahathir’s meetings with a few ambassadors that tarnish our image and diminish our standing in the world but the corruption, abuse of power, bigotry and extremism that have increasingly come to define our nation both at home and abroad. The 1MDB scandal, for example, has done enormous damage to our international standing, typecasting us as a corrupt nation with weak institutions and unethical officials. Buckets of whitewash cannot alter that fact; it will take us years to live down that single act of infamy. As well, our image is tarnished when opposition politicians and civil society leaders are harassed, intimidated and jailed, when anti-democratic legislation is rammed through parliament, when prisoners in remand die under mysterious circumstances, when pastors and others are snatched from the street and disappear without a trace, and when a 92-year-old gracious and much-loved lady is summoned for questioning simply for speaking at a public rally. If the minister is truly concerned with our international standing, he would do well to address these issues before taking Dr Mahathir to task over his meeting. And as for foreign interference, if the minister wants to know what that really looks like, he need look no further than the past activities of the former PRC ambassador who routinely accompanied BN ministers to political meetings to encourage Malaysian citizens to support the government and its pro-China policies. There was a time, a time when we still had clear standards of right and wrong, when such actions would have immediately earned a stern rebuke from Wisma Putra. Today, however, we make a fuss over petty issues and close our eyes to the real transgressions. Perhaps what really grates the minister is the possibility that the EU might want to send election observers for GE14 at the prompting of the Opposition. Again, this is standard practice in most countries and we ourselves have sent election observers abroad. Putrajaya, of course, appears to have no problems with election observers from Myanmar, Cambodia or Laos but is loathe to have observers who are well versed in democratic traditions, are less bothered by diplomatic niceties and cannot be so easily managed. However, given that we have “the best democracy in the world” as well as “the strongest and longest democratic record in the whole of Southeast Asia,” to quote our Prime Minister, there is no reason why we should be reluctant to have foreign observers. In fact, we should be proud to showcase our electoral process; who knows, perhaps, we might be able to teach these pesky Europeans a thing or two about free and fair elections in a real democracy. It’s hard not to conclude that the powers that be are simply getting nervous that Dr Mahathir and the Opposition are on a roll and are determined to discredit them in every way possible. Instead of demonizing Dr Mahathir they should consider engaging him in an open and public debate and let the people decide who is better placed to represent them in government. That’s what they do in real democracies and that’s what earns international respect.